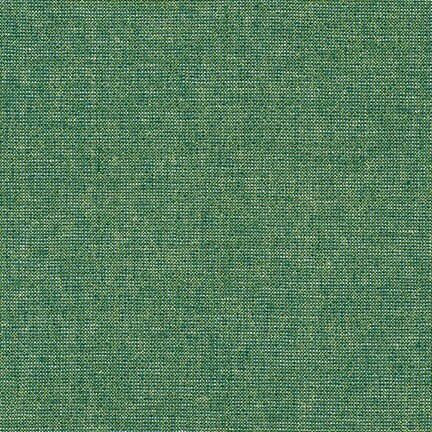 This Essex Yard Dyed Metallic by Robert Kaufman fabric is new and cut right off the bolt. The fabric is 50% Linen 40 %cotton and 10 % Lurex. It is top quality fabric with a Metallic Shiny Green thread in it.